ROLLING STONES Let It Bleed (Rare 1969 UK first issue third label variant 9-track mono LP, on an unboxed red label with no tax code, the publishing year is at the bottom of the label, the side number is on the left next to the spindle hole. 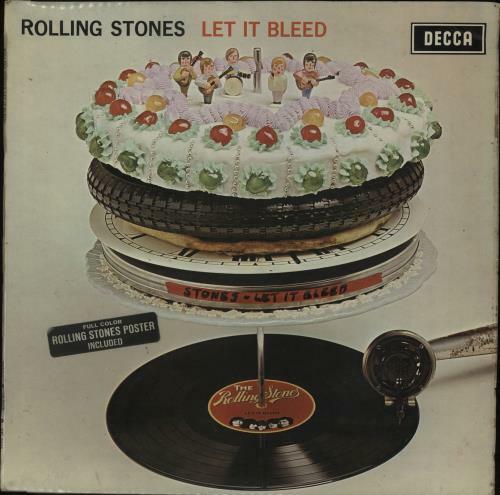 Stereo versions of Let It Bleed far outweighed their mono counterpart by this point, making for a very collectable Stones record decades later. 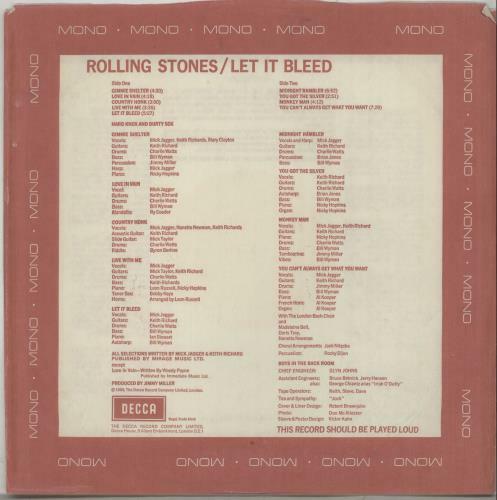 The front laminated sleeve has the mono/stereo die-cut indicator on the back with 'Sleeve printed in England' without a printers credit, & comes with the red bordered inner sleeve with 'The London Bach Choir' credit [later copies were blacked out] & rare poster. See 'more info' for further details... LK5025). The sleeve displays some minor general wear with some laminate lift along the spine, the non-laminated reverse displays just a little light discolouration & a couple of small nicks on the open edge. Overall excellent, with very few signs of its forty-five+ years & no blemishes to point out. The inner bag is the first edition red-for-mono pressing, BEFORE The London Bach Choir got upset with the release & decided they wanted their name blanked out, with only light creasing but remains intact with all text clearly legible. The thin delicate poster is a beautiful example & appears to never have been used. 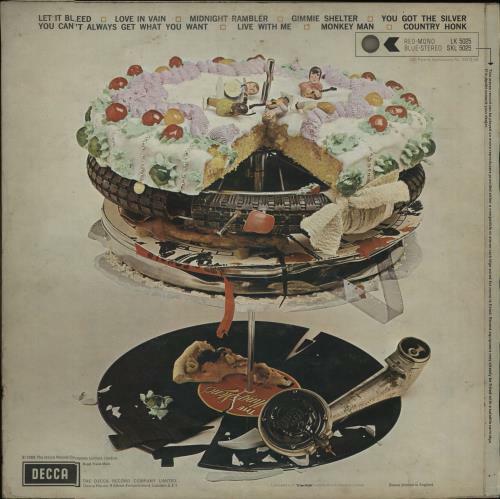 The record appears clean & in Excellent condition, with just a few minor cosmetic blemishes not interfering with play. 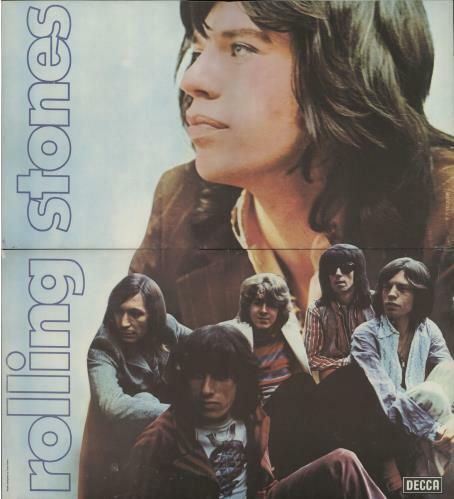 Musically, this was one of the best Stones LP�s ever made, with all somes at some point included in the set list during the �modern touring era� of the band. And it certainly packs a punch in MONO. What's more it's so hard to find in Excellent condition AND complete with the poster - A true gem for any collection.